Today we will talk about another business that has used Facebook Marketing successfully to create awareness regarding their flavor palette. We all love sitting on the couch and munching on those potato chips while watching a cricket match or that thriller with friends. Chips are chips, if you are a snack company how would you market them to increase your revenues and market share? Let’s Dig into the Lays Case Study. Lay’s is a popular brand of potato chips, founded in 1932 in Dorset, Ohio. The brand manufactures a number of popular flavors and chip styles and was the first snack brand to purchase a television commercial. 1. Drive In-store sales for the lays chips. 2. Build Brand Awareness and Encourage People to try out their new flavour palette. 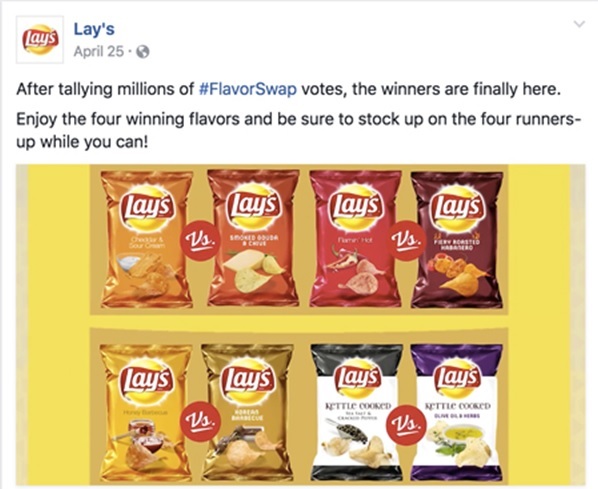 Lay’s wanted to tap into people’s appetite for unique chip flavors, so it partnered with media agency OMD, content creator Deep Focus and Facebook Marketing Partner Adeptly. The team launched its Flavor Swap campaign on Facebook and Instagram in early 2016. To encourage people to try new Lay’s flavors, the team developed a series of 4 sequenced video ads that pit a classic Lay’s flavor—such as Flaming’ Hot or Sea Salt & Cracked Pepper—against a new flavor, like Fiery Roasted Habanero or Olive Oil & Herbs. in food and popular culture. 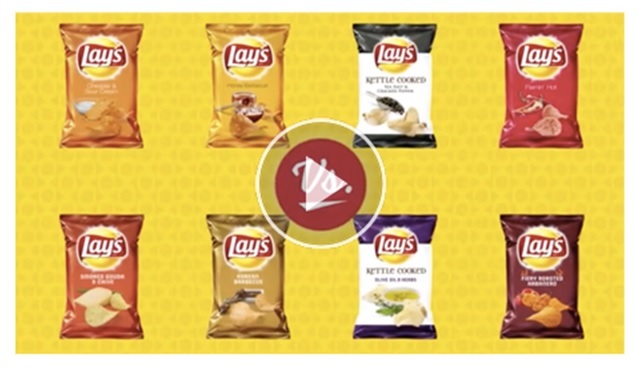 The Lay’s team also used the reach and frequency tool to ensure that people viewed each of the 4 match-up video ads in sequence.